Is your car’s remote malfunctioning all of a sudden? Are you locked out of your car and require help immediately? Do you require new transponder keys? 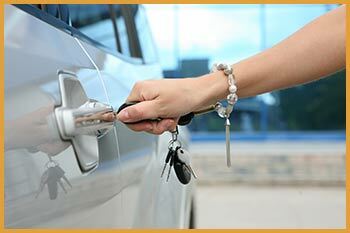 For all your vehicular lock & key problems, you can always find a solution at Philadelphia Locksmith Store. A premier locksmithing agency in Philadelphia, PA area, we’re considered the go-to locksmith by the community and are trusted by a large number of vehicle owners. Our resounding success is all down to the quality, reliability, and affordability that we offer – traits that other agencies have tried to emulate, but failed to match up to our standards. Try asking a hardware store technician to make you a copy of your keys, and you’ll find them incapable of it. Some things are best left to the experts. And we’ve got a dedicated team of experts for such specialized lock & key needs. 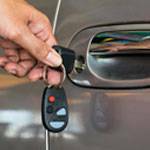 Educated, skilled, experienced and trained extensively, you can be assured that you’ve hired the best auto locksmiths for the job. Your car could be parked in the garage or you must have suffered a lockout in the middle of the road. No matter where you are, we do not want to add on to your burden by asking you to get your vehicle towed to our workshop. Instead, our workshop comes to you. Our mobile vans are stocked up with the necessary paraphernalia that enables our auto locksmiths to work anywhere. What will you do if you find that your car breaks down in the middle of nowhere, and you’re in immediate need of ignition repair services? Your dealership will be unavailable or might deny service at an odd hour. You might have to tow your vehicle to safety and wait for a workshop to open, right? Wrong! Our auto locksmiths are available 24/7, and are ready to help you even if you call us at 3 am or from a remote location. To hire our auto locksmiths , call 215-716-7612!